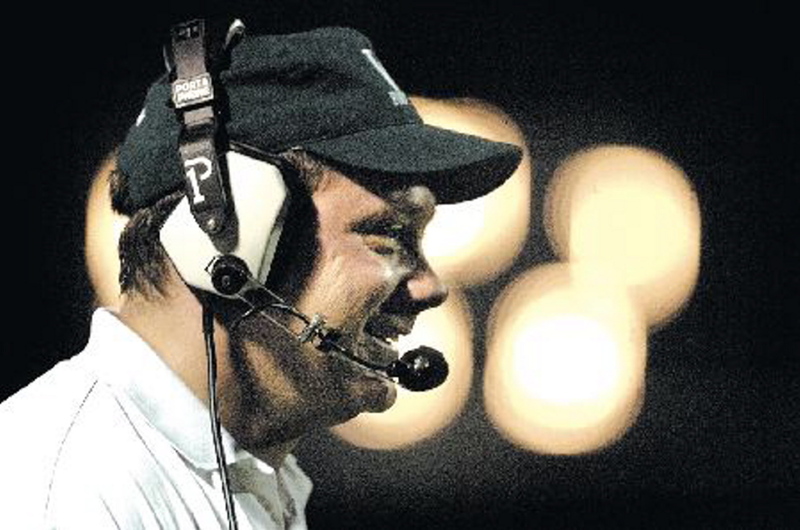 The former middle school coach replaces Joel Stoneton at the helm of the program. WINTHROP — Dave St. Hilaire is no stranger to Winthrop football. The 49-year-old Winthrop native coached the middle school team in two different stints — 1990 and again last fall — and he’s been involved in youth organizations, including Augusta. Last season he joined Winthrop/Monmouth coach Joel Stoneton’s staff as a linebackers/wide receivers coach. His vast experience and familiarity with the football program helped St. Hilaire land the Winthrop/Monmouth head coaching job, which became vacant when Stoneton recently resigned to become the Winthrop athletic director. The hiring will become official Wednesday night at the Winthrop school board meeting, principal Keith Morin said. St. Hilaire will also bring experience coaching a co-operative program, something Morin said is critical for the Winthrop/Monmouth job. St. Hilaire previous coached the Winthrop/Hall-Dale hockey team. St. Hilaire added he expressed interest in the position when Stoneton resigned after 19 years in the football program — the last 10 as head coach. St. Hilaire takes over a program that went 61-35 in the previous 10 seasons under Stoneton. The Ramblers struggled in recent years with turnout, but numbers ballooned when the program merged with Monmouth last season. The team had as many as 60 players come out — nearly double compared to previous seasons — last season, which ended with an upset loss in the Western D Campbell Conference semifinals. St. Hilaire said he expects another good turnout this season despite the loss of 19 graduated players. “We’ll have 48-55 kids out,” he said. “We’ll need to get people to buy in, but that shouldn’t be a problem. A lot of the guys know me. I will be a teacher of the game. I will ask my players to play as a team. Success will come with that.